How 3D works without the glasses? 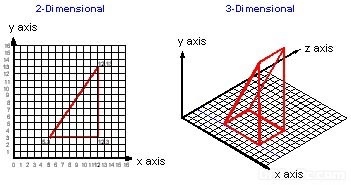 3Dimensional refers to objects that are rendered visually on paper, film or on screen in three planes (X, Y and Z) describing the perception of depth to a particular object to make interactive, users feel involved with the scene, the experience is called virtual reality. Earlier 3D was obtained by presenting half the image in blue, and half the image in red. Users would wear red and blue glasses, which would prevent each eye from seeing the other half of the image. The result was a fairly convincing 3D image, but picture quality left a lot. Alternatively LCD glasses which use a different technology altogether, produce a much higher quality image than the 3D glasses of old one. The lenses actually darken and lighten in sync with the refresh rate of the image on the screen. A polarizing filter works in conjunction with the liquid crystal to make this happen. An IR emitter tells the glasses when to perform this change. As the glasses are performing this function, they are essentially hiding a piece of the image from your eyes even while it's on the screen. This creates the 3D illusion. How 3D works without Glasses? While watching a 3D movie and wearing required 3D glasses, most people would know that a different image is being sent to each eye; your brain mashes these two images together to create a composite 3D image but not known that a 3D display incorporates an overlay that is placed in front of the LCD. This is called a parallax barrier and it polarizes the glasses. 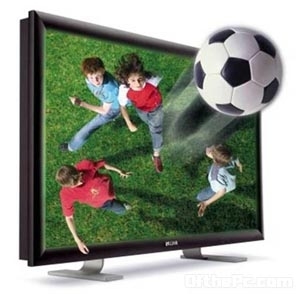 Parallax barrier 3D TVs work by using tiny lenses which are integrated into the TV screen - layered liquid crystal displays. Each layer contains small stripes that hide specific pixels so that some can only be seen by your left eye, while other pixels can only be seen by your right. The result is the two images our eyes need to see to send a 3D image to our brains. With the lenses being built into the screen, there's no longer a need for 3D glasses. This is achieved by building small lenses on to the display screen and then refracting the left and right images that are emitted. This gives slightly less reduction in brightness than parallax barrier displays and a wider range of viewing angles. When the switching LCD is switched off - The TFT-LCD displays 2D imaging as normal. But when the parallax barrier is switched on - it controls the way light leaves the display, meaning different patterns of light reach the left and right eye.